Finding the right counselor for you, or for someone you love, can be a challenging process. Wishing You Well Counseling Center is here to help. Located at 21731 Timberlake Road in Lynchburg, Virginia, we offer a home-like, friendly environment serving children, adolescents, adults, couples, and families. For the benefit of our clients, we take most private insurances, as well as Medicaid. Payment options include cash, check, debit, and credit cards. We offer flexible hours, and our entrance and facilities are handicapped accessible. Our goal is to make this process as smooth as possible, so you can begin the journey toward healing. 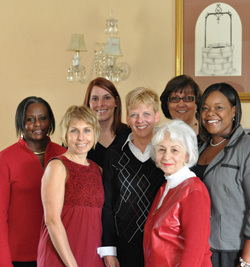 Take a moment to read a little bit about our counselors, then call us. We will do our best to match you with the therapist who is right for you. © 2010 Wishing You Well Counseling All rights reserved.